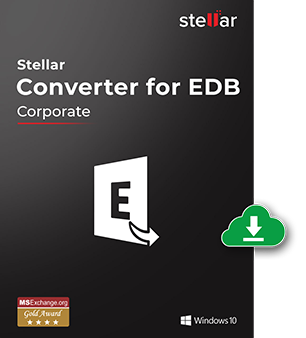 Stellar Converter for EDB converts user mailboxes from Exchange database to Outlook importable PST files that can later be imported into the targeted server. The extractor makes it easy for you to migrate an entire offline Exchange database (EDB file) to another live Exchange server and Office 365 without technical difficulties. *A free trial version to scan & preview your converted mailbox items as PSTs. Need to convert only selected emails? Conversion of the entire database to another format isn’t always needed. Depending upon requirements, you may need to convert only a single or a handful of emails within the EDB to PST format. While exporting the entire Exchange server mailbox database to PST format is relatively straightforward, doing so for a few emails and that too those that are specifically selected by the user is slightly complex. Most converters don’t offer this feature, however, with Stellar Mailbox Extractor; you have no reason to worry. As thousands of emails, calendar entries, notes etc, pile up within user mailboxes, warnings about approaching file size limitation are thrown. To avoid the consequences of exceeding database file size (corruption) or to avoid receiving warnings, users go on a mailbox cleaning frenzy to free up space. At such times, users may delete important emails unintentionally. 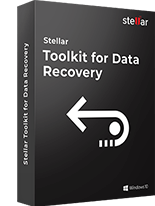 Stellar Mailbox Extractor can help you tackle such an unprecedented loss by extracting all accidentally deleted emails. Want to export mailbox data within specific date range to PST? Exchange administrators sometimes receive user requests to export only those mailbox items that lie within a specific time range to PST format. The reasons behind such a request could be for data backup purposes, or maybe the user needs to do this to create a monthly archive for a mailbox. Although PowerShell commands can be used to achieve this task, such commands often require technical expertise. To overcome this limitation, Stellar Mailbox Extractor should be used. All mailbox items within EDB like emails, Contacts, Calendar entries, Journal etc can be quickly extracted and accurately converted into corresponding PST files with this mailbox extractor. What’s more, Exchange mailbox extraction tool performs the conversion process without altering the original format of the mailbox items. The latest version of Stellar Mailbox Extractor for Exchange includes the capability to successfully extract Unicode EDB file of any language into PST format. This feature is aimed at removing incompatibilities for users during the extraction procedure. One of the strongest capabilities of Exchange mailbox extractor is to be able to convert one or multiple EDB files simultaneously to PST format and that too both in online and offline modes. The only difference between the processes of the two modes is that in online mode, MS Exchange Server information like Email, Server Name, and User Password to export Exchange ( 2019, 2016/2013/2010/2007/2003/2000 and 5.5) mailbox to PST needs to be provided. Exchange EDB extractor allows you to export offline user mailboxes to a live running mailbox on Exchange or to Office 365. An EDB is said to be offline, if it is not connected to Exchange Server. You can either browse to the location of the offline EDB or through an auto-find feature of the Exchange mailbox extractor. In order to export mailboxes to Live Exchange Server, use Server Console.exe to grant Full Mailbox Rights to disconnected mailboxes. In addition to PST format, Exchange mailbox extraction tool allows you to extract and migrate online user mailboxes into EML, MSG, HTML, RTF, and PDF formats. While PST format converted data can be accessed through MS Outlook, EML format converted data can be accessed through Outlook Express. Stellar Mailbox Extractor enables users to search particular mails within the converted file. Desired mails can be searched on the basis of criteria such as ‘To’, ‘From’, ‘Cc’, ‘Subject’, ‘Body’, ‘Attachment Name’, ‘Importance’, and ‘Item Type’. Moreover, preferences like ‘Any Criteria’, ‘Exact Match’, and ‘Both’ help to further streamline the search. Before the actual conversion process completes, mailbox extractor allows users to preview how mailbox items would look after the Exchange export mailbox to PST conversion. This step helps users ascertain if all desired items will be successfully converted or not. Furthermore, it helps establish the credibility of the software. The simple and easy-to-use interface of Exchange EDB extractor makes it possible for anyone, from beginner to expert, to use it with skill. No prior technical knowledge is needed to operate it. The tool is compatible with MS Exchange 2019, 2016, 2013, 2010, 2007, 2003, 2000, and 5.5. 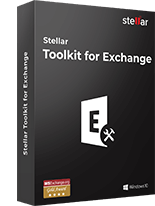 How do I Export Exchange Mailbox to PST using Stellar Mailbox Extractor for Exchange Server? 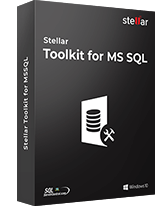 Install and Run Stellar Mailbox Extractor for Exchange Server software. Open the tool and select either of the option – Offline EDB or Online Exchange from User Interface. For Offline EDB, click on Open EDB if filename is known, else click on Find EDB to locate EDB. Click on Start to start the scanning process. Option to add multiple files appears, click on Yes to add more files. Extracted mailbox preview shows on screen. Verify exported Mailbox components. Select PST and define the destination path with browse button. Click on Save button on File tab to save exported Exchange Mailbox to PST. Exchange Database Mailbox are exported as PST files and saved at preferred location. Import these PST files to Outlook and access data. 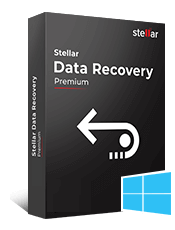 The best part of Stellar Mailbox Extractor for Exchange Server software is that the conversion process does not alter the original format of the items. What features are provided with the demo version of this Exchange mailbox extractor? The demo version of this Exchange mailbox Extractor is restricted till previewing of the mail items. However, in order to extract Exchange Mailbox to PST and other formats, you need to purchase the software. Is software compatible with all service packs in Exchange Server? 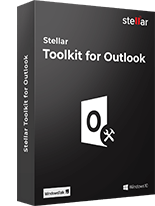 Yes, Stellar Mailbox Extractor for Exchange Server software is compatible with all service packs in Exchange server including MS Exchange 2016, 2013, 2010, 2007, 2003, 2000 and 5.5 versions. Can I export Exchange archived mailbox to PST without any error message? Yes, you can directly export archived mailboxes to PST without any error message. How can I find my EDB files if I do not remember the location? In case you do not remember the location of you EDB files, you can easily locate it using the 'Find EDB' option in the software. What could be the reasons for absence of some mailboxes, even if I'm connected to the Exchange Server? Some of the common reasons for such a situation are mentioned below. While we extract Exchange mailbox in online and offline mode, is it required to have administrative rights on Exchange Server? Administrative rights are not required, if you wish to extract Exchange mailbox in offline mode. However, you need to have administrative rights to connect to the Domain Controller, in order to extract Exchange mailbox in online mode. Can the software export public Exchange mailbox folders (PUB.edb) in online mode? No. This software only supports PUB.edb files in offline mode.